Hello, I have started this blog because I would like to record and share my journey in Peru with you all. I will be going to Peru to learn as much as I can about the cultivation of cocoa and the making of fine chocolate. What better place to go than the country renowned for Latin America’s finest gastronomy? I will be working with the Consorcio Cacao Amazonico, an organisation that coordinates and manages four cocoa cooperatives in the northern part of Peru. I will be based in Lima and at the cooperatives which are located in San Martin, in the upper part of the Peruvian Amazon rainforest. The four cooperatives that I will be working with are called Acopagro, Oro Verde, Tocache and Divisoria. 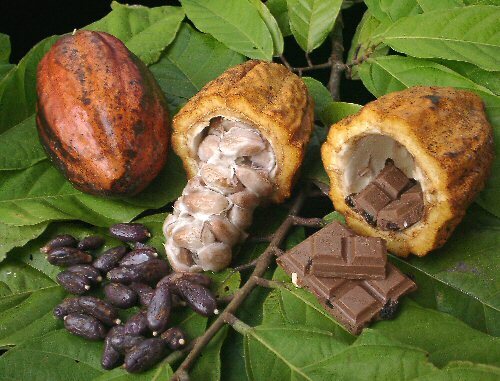 They supply some of the best cocoa beans in the world to leading chocolate manufacturers and chocolatiers worldwide. They have recently started to develop their own chocolate brands for the Peruvian market. I will be helping them on the branding and product development of their chocolate brands.